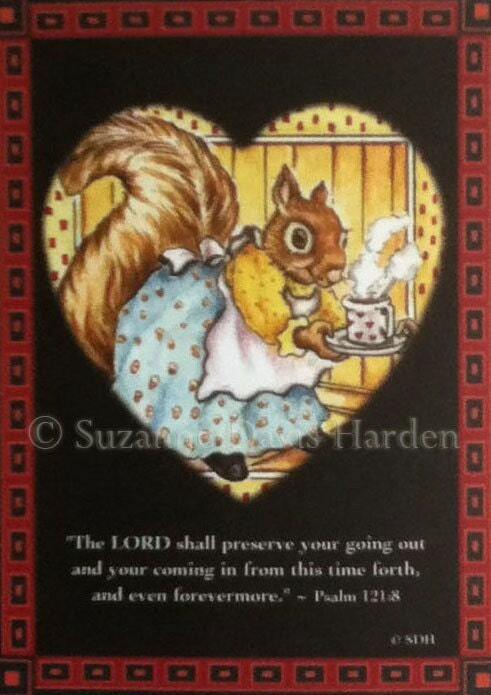 Whimsical Lady Squirrel serves up a friendly cup of hot cocoa~ The perfect card to send to a friend or loved one to encourage or send some cheer. 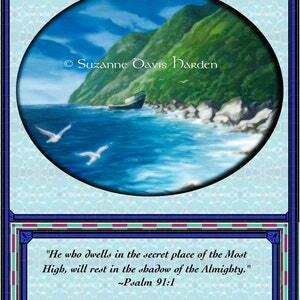 The inspirational Verse from the Updated King James Bible on the front of the card adds a comforting touch. 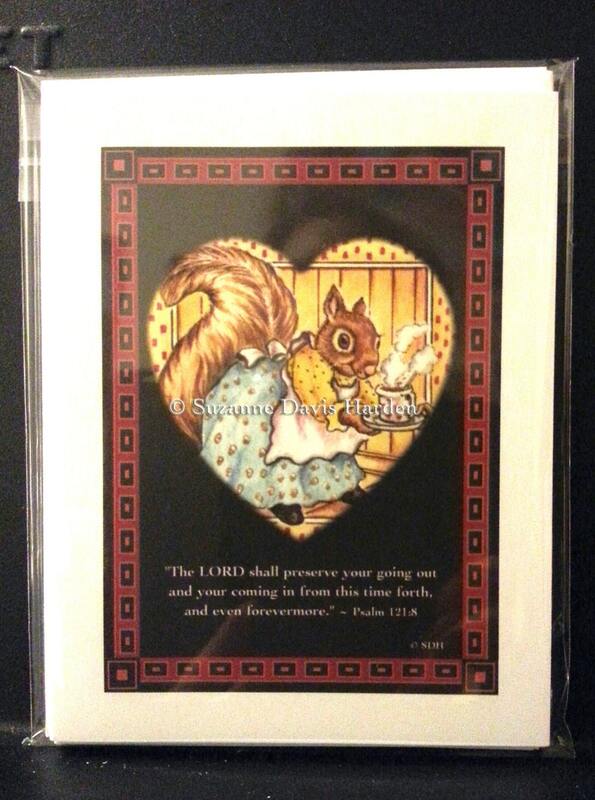 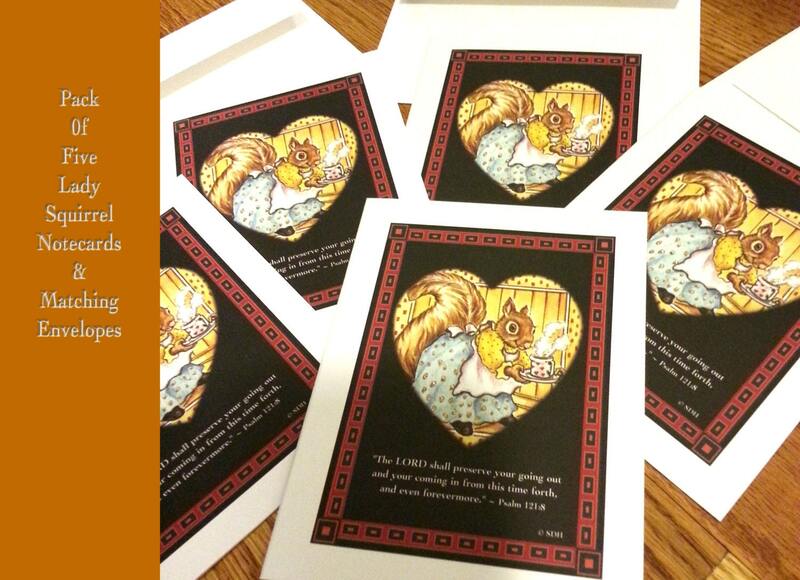 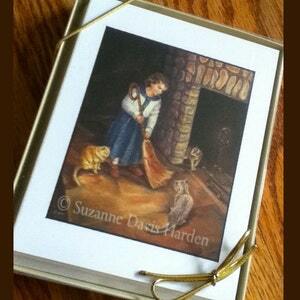 The Lady Squirrel Note card measure 5 1/2" by 4 1/4" inches. 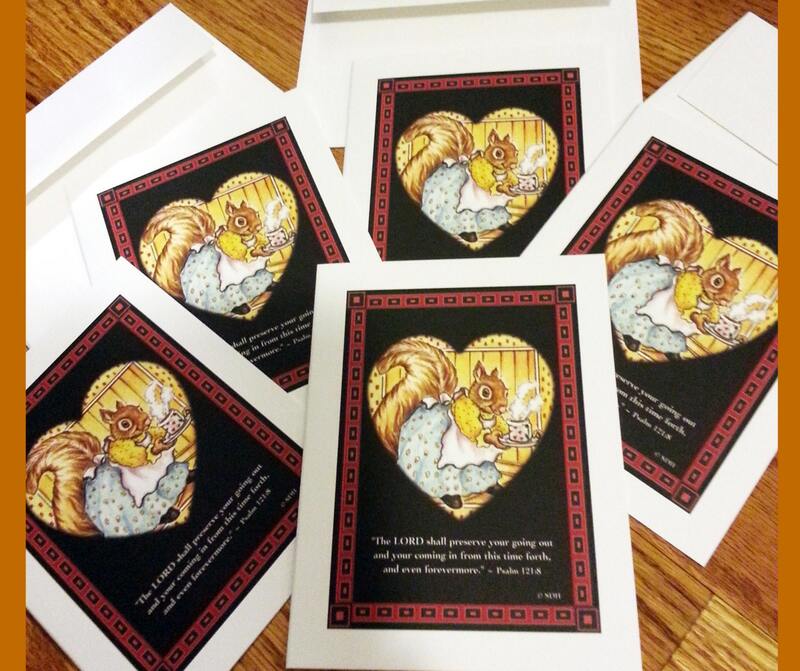 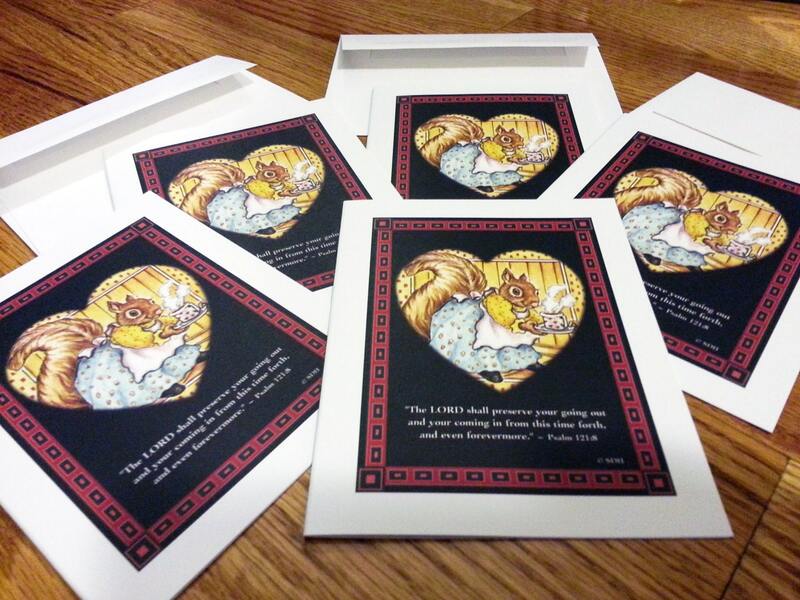 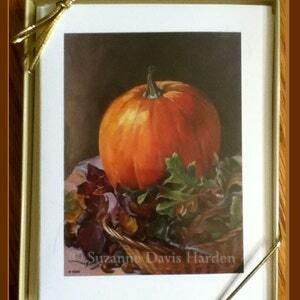 The card is printed on durable high quality card stock and is available as a single card or in a set of five cards. 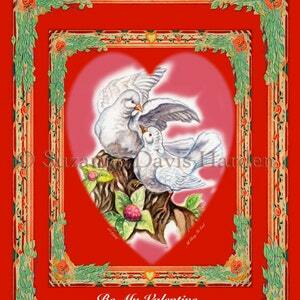 We ship USPS First Class in the United States within 1-3 days of your order.